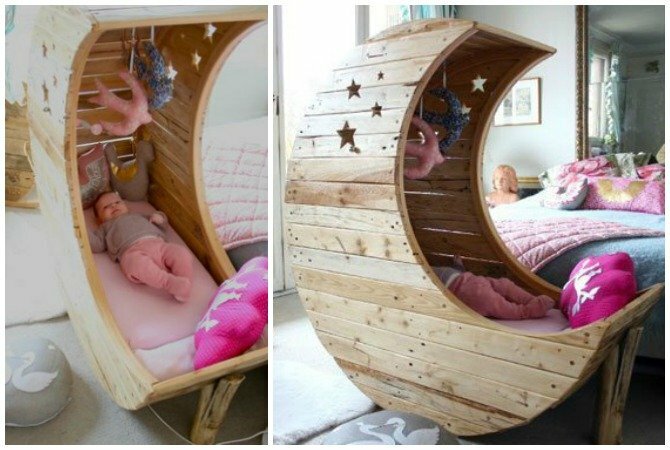 It’s so exciting to welcome new life of your family, and this handcrafted cradle crib in the shape of a crescent moon is such a wonderful gift for the newborn. 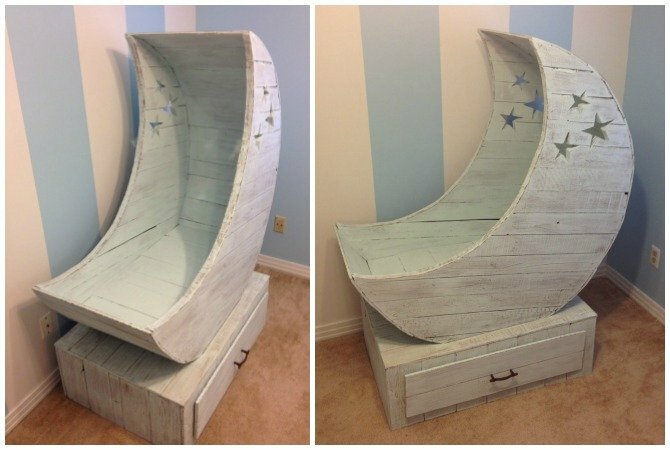 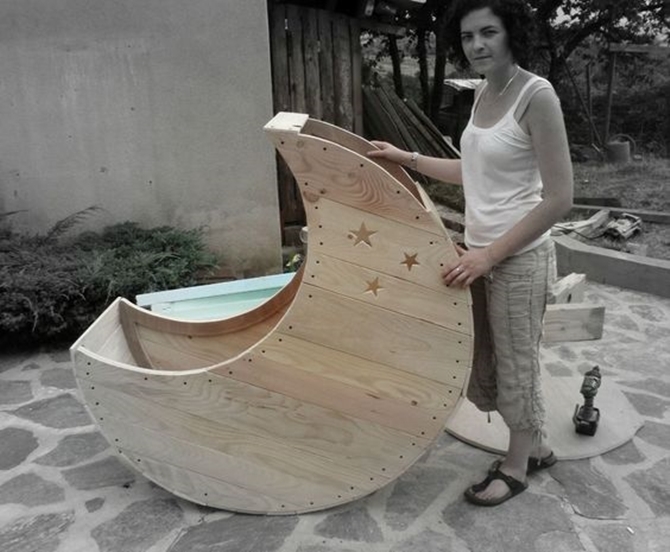 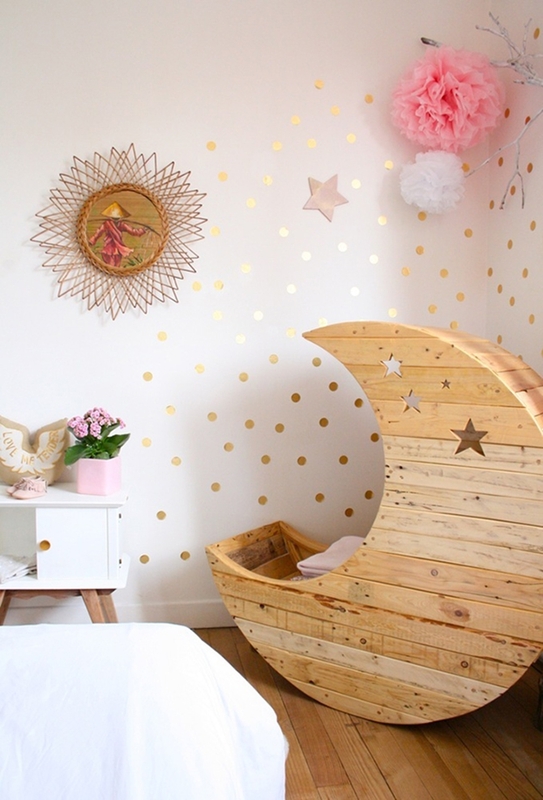 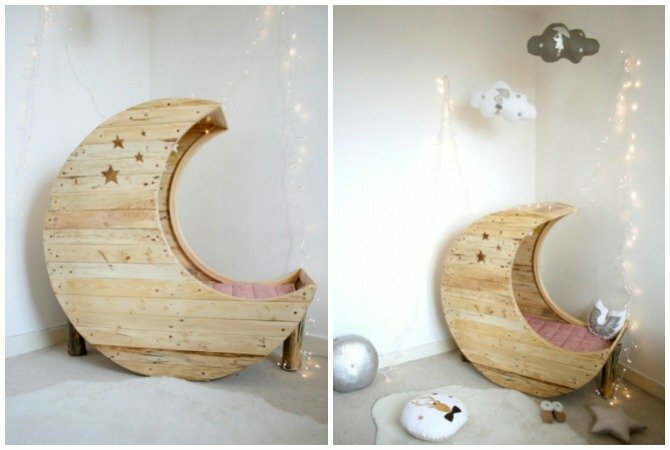 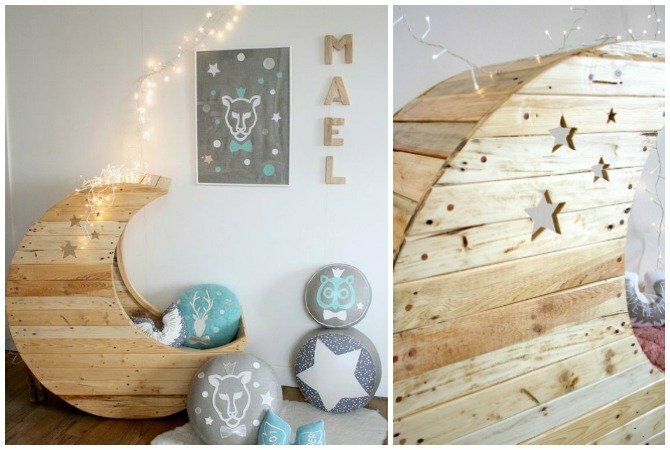 Made of a natural oak wood, thisDIY Moon Cot Baby Cradle Crib bed is a real breathtaking masterpiece to add in your nursery room because of its absolute adorableness and unique beauty. 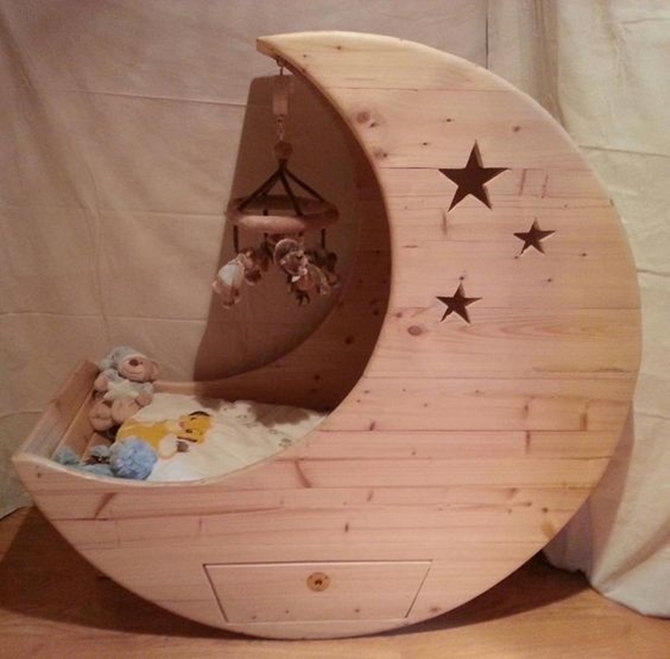 You can buy directly at Creme Anglaise site, which will cost you 900 Euro. 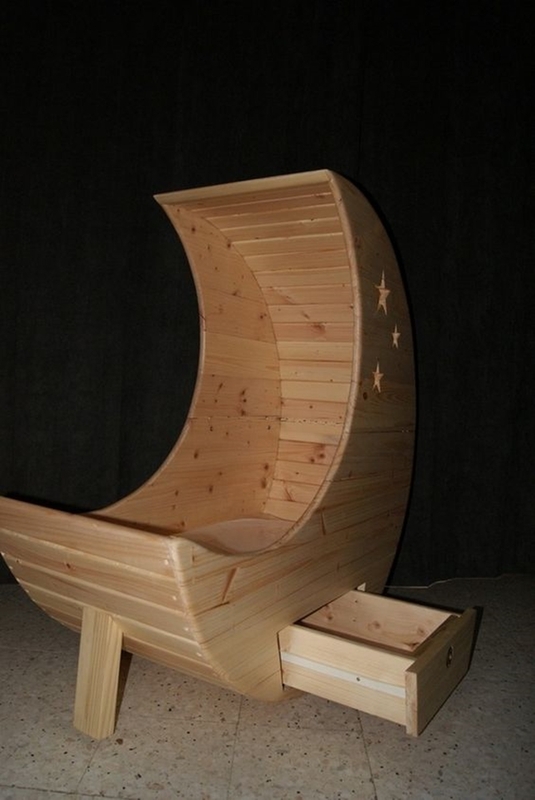 Design of this one is amazing, and will surely make your little ones the luckiest and happiest in the world. 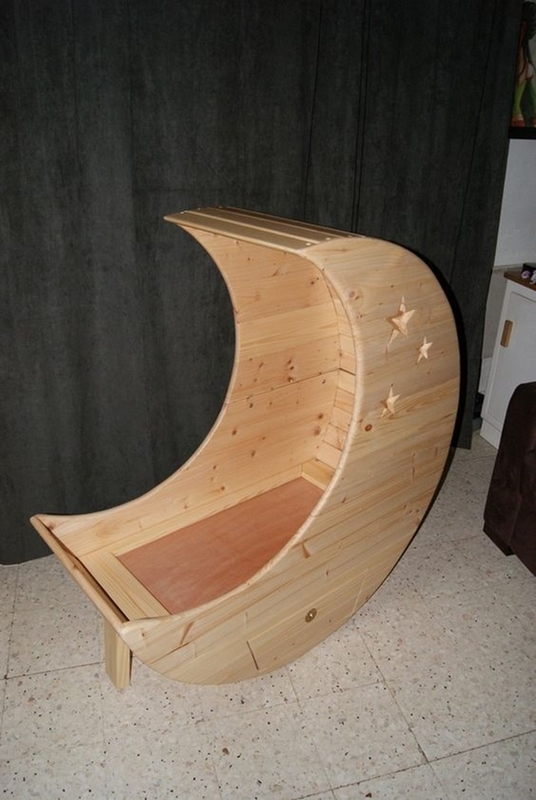 Great that there are several DIY versions available around the web so we can make one with some woodworking efforts. 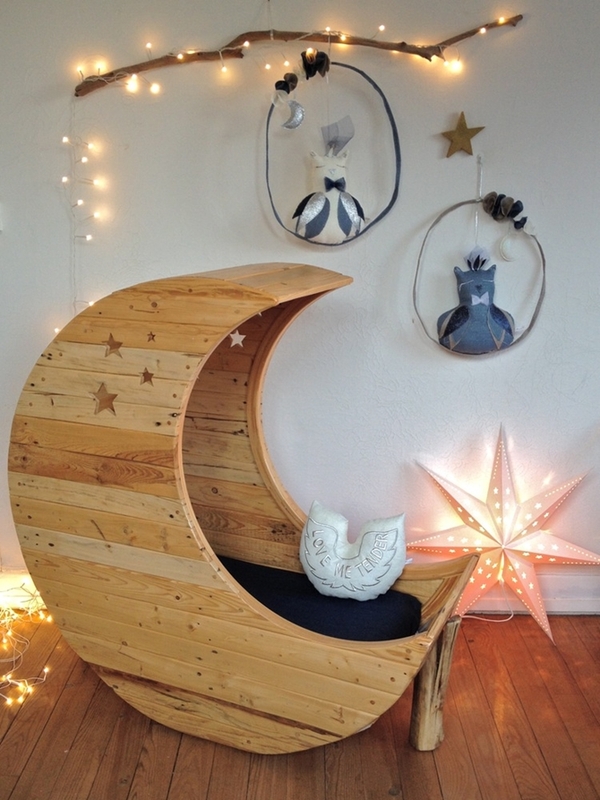 Instead of going to timber supplies, there is a clever and inexpensive way of achieving a rustic look of this moon cot baby cradle using reclaimed woods such as pallets. 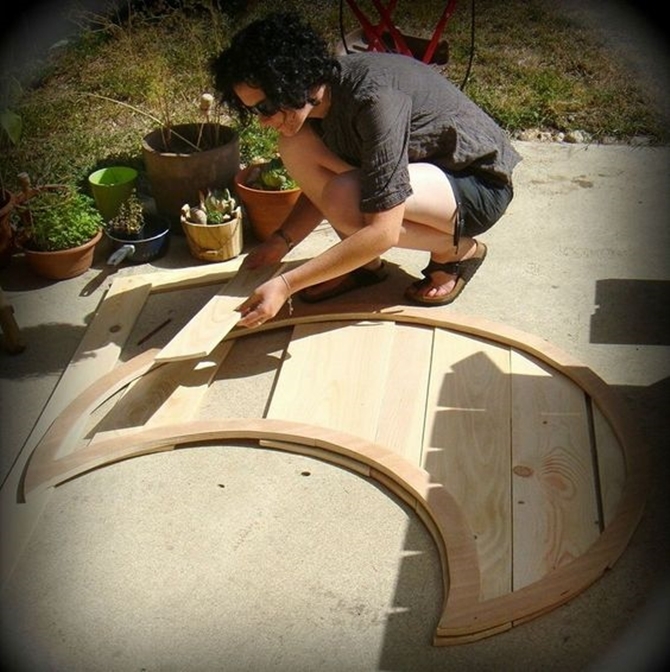 You can either use stain or varnish to add a glaze as finishing. 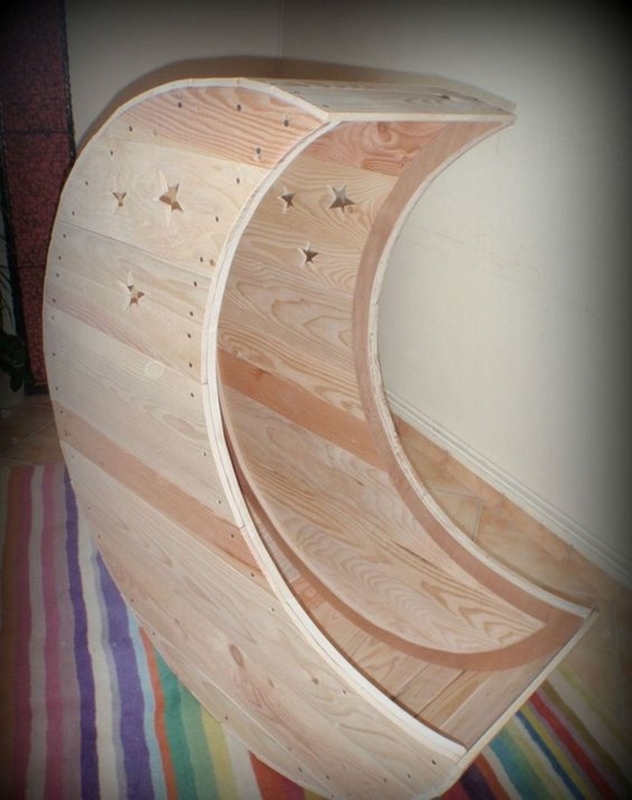 And instead of making the base of cradle flat at bottom, you can add a storage underneath such as this one. 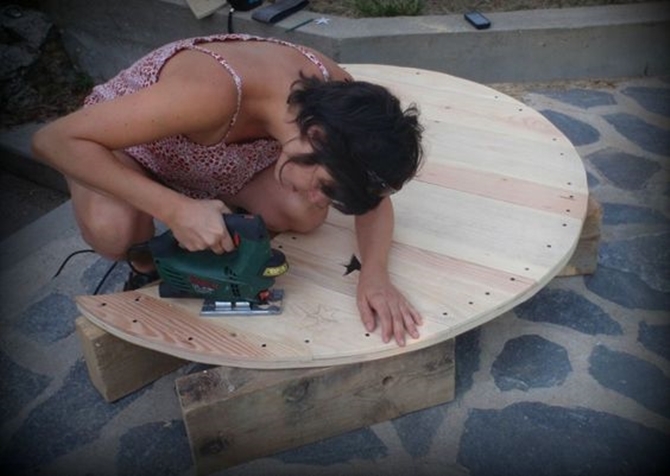 This project can be easily accomplished. 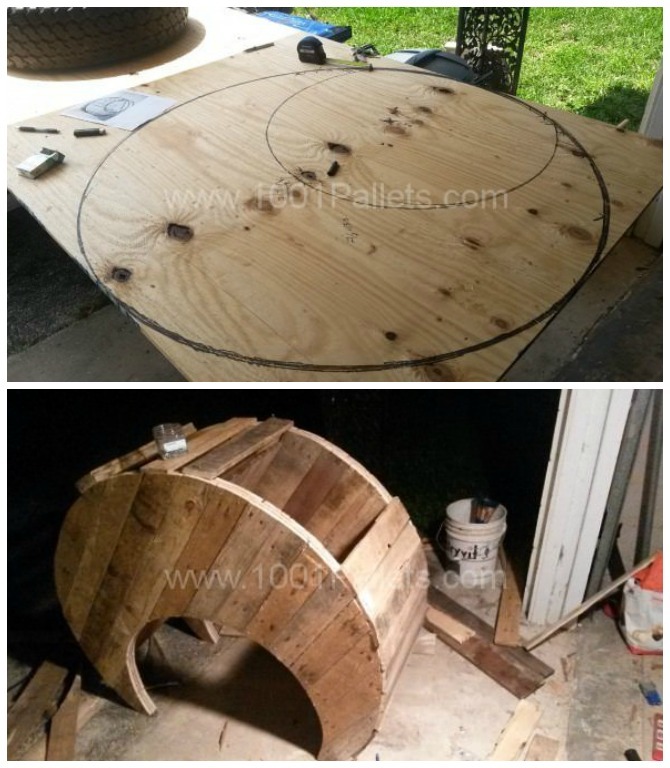 You just have to gather all the needed materials and tools. 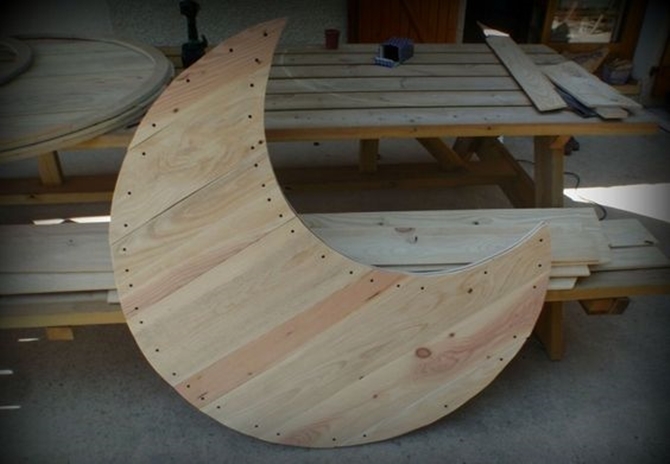 Cut the wood into crescent shape from both sides, and assemble with woods in-between, adjust the width as you prefer, and a wider one will be good for lasting use. 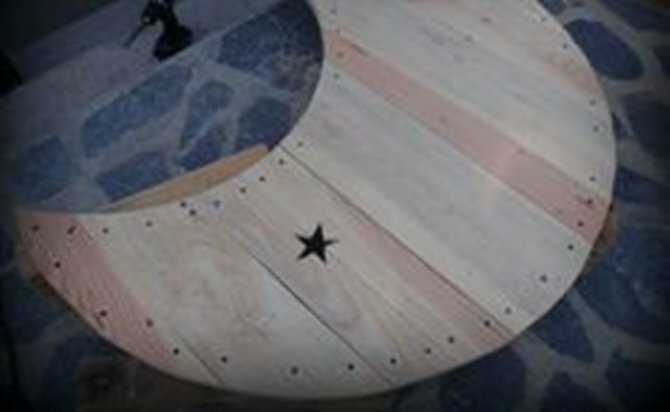 You can get full step by step picture instructions here from 2 Ptites Cocottes, and a video guide from Jochem Here, too.